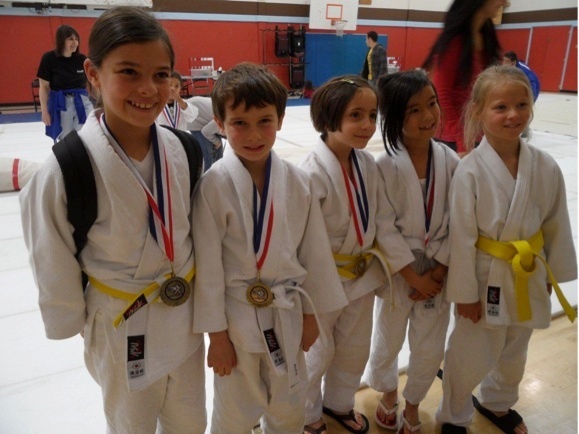 On Saturday, February 4, 2012, 10 judoka from ISTP participated in the South San Francisco Boys & Girls Tournament. The tournament was developed to initiate students into the art of judo, and allow them to apply all the techniques they have learned, as well as being able to meet athletes from other dojos. David E., Ian F., Andrew D., Claire D., and Charles-Antoine D., participated in this tournament for the first time. Eight competitors were able to place and secure a medal. Our students fought very hard and learned quite a bit from the experience; they also met other French-speaking judoka at the tournament. Congratulations to all the ISTP judoka for proudly representing our school!